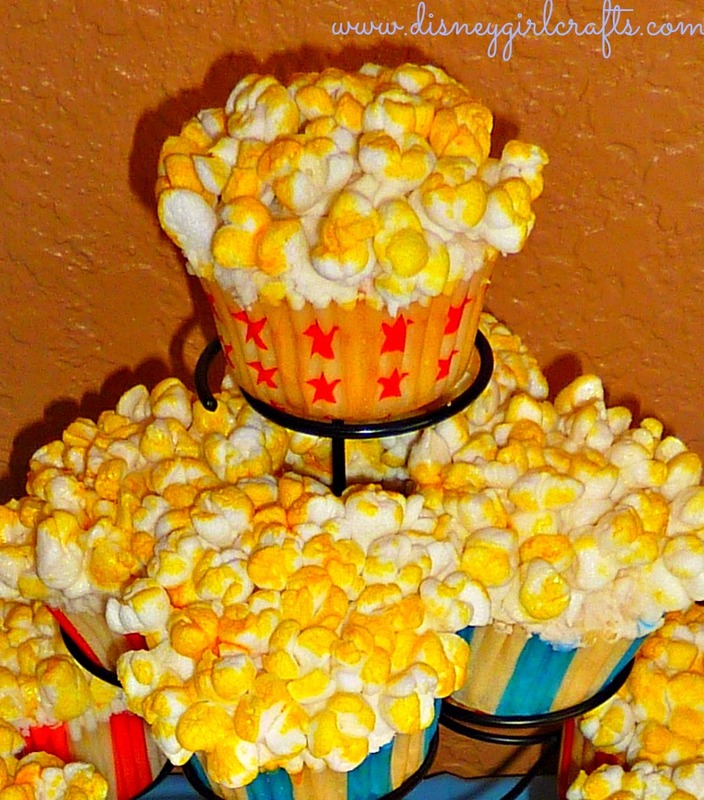 The Big Top and Popcorn "Cakes"
Pretty cool, huh? Each child received a popcorn bag filled with goodies. Everyone got to visit the candy bar and help themselves at the end of the party. The candy that was the biggest hit with the adults was the Circus Peanuts. Do you remember these? 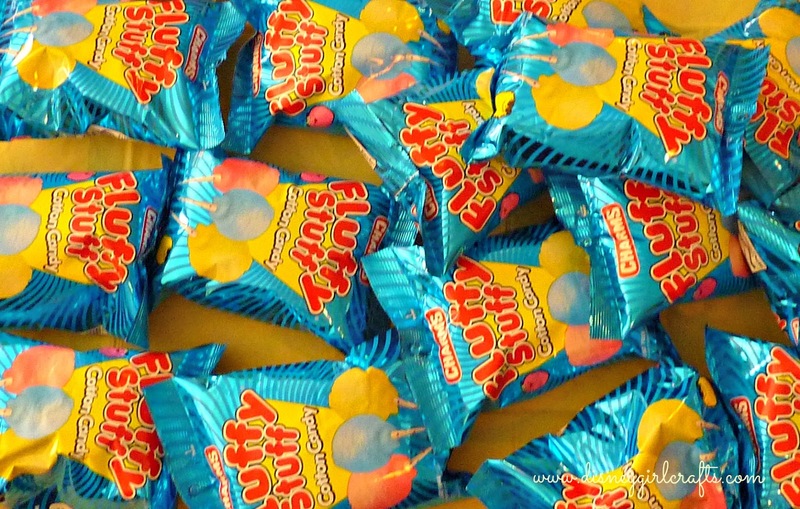 The big, orange, soft, delicious candies shaped like peanuts. Yum! The cake was amazing! The birthday girl had her very own "Big Top" cake. 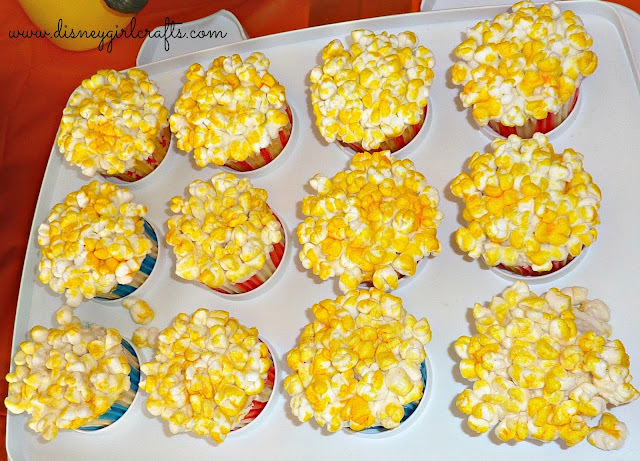 Each guest had "popcorn" cupcakes. Don't these cupcakes look just like popcorn? They were amazing! The gal that made the cakes did a fantastic job! Not only were the cake and decorations amazing but there were also carnival games to play! Everyone had their chance to "go fishing" and hop along in the sack races. It was so much fun! So can anyone guess what the "popcorn" is made out of? At a glance I never would have guessed what it is. Thanks so much for stopping by Disney Girl Crafts & Other Fun Things! I hope that you have a magical day! Such a cute party! 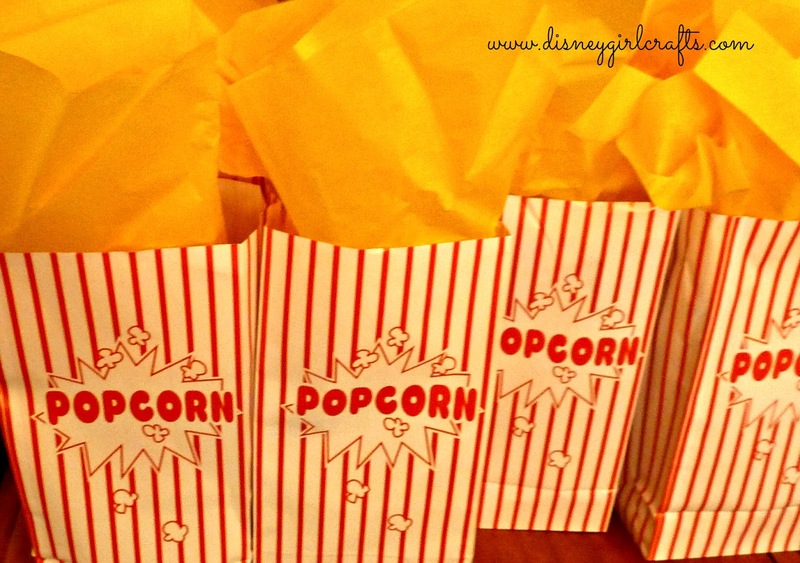 Love the Popcorn goodie bags! And YES I remember Circus Peanuts - yum! What a fun sugary treat! BTW - Just saw your Etsy store link...is it new? Sounds like a fun birthday party. So what is the popcorn made out of? Marshmallows and food coloring? I can't tell looking at the photo. I LOVE those cupcakes!!!! They do look like real popcorn...I bet they were delicious!!! Looks like a fun time...TFS!!!!! What an awesome party! Very cool! What a great idea for a party! Totally "borrowing" this for my movie-loving daughter. 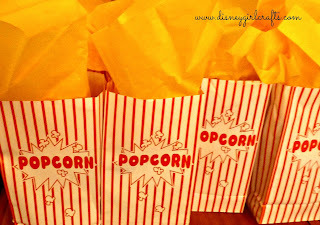 I love the cupcakes and popcorn goodie bags. Thanks for the awesome ideas! 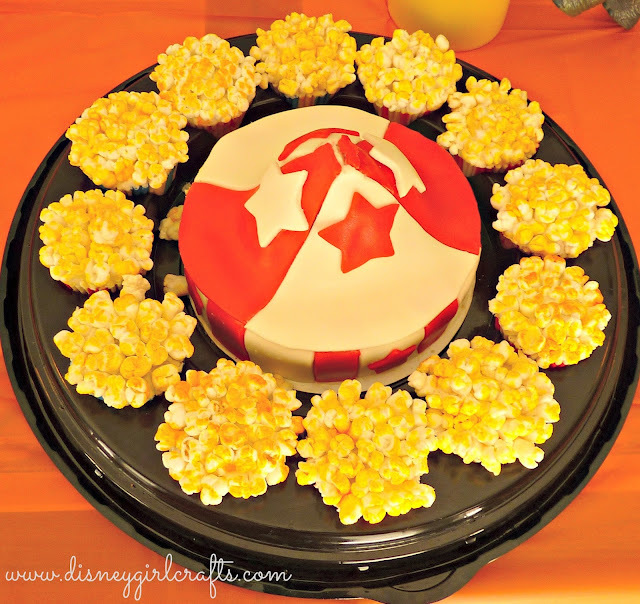 Amazing "popcorn" cupcakes, Brenda! I've no idea what they could be made from!